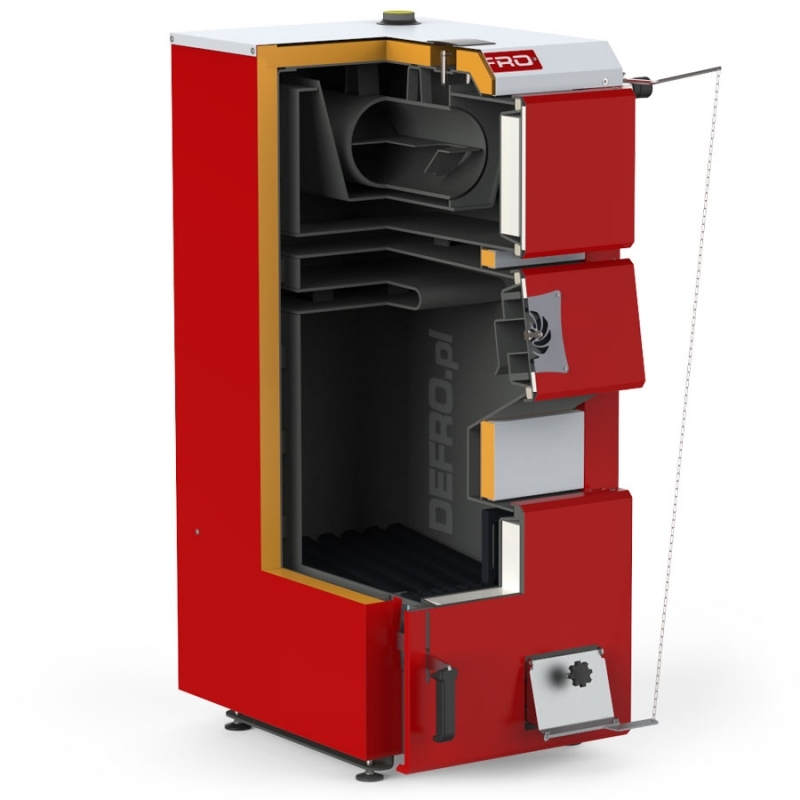 Traditional coal boilers ECONO are adapted for traditional combustion of coal and wood using natural draught. They are intended for heating of living quarters and industrial rooms from 30m to 350m2 and for generation of hot utility water. Heat exchanger is completely made of certified boiler sheet of thickness 5 mm. Adjustment of amount of air necessary for effective combustion process is made using adjustment screw in ash-pan doors. Boiler can also be equipped with draught controller allowing automatic control of air supply. 1 Maximum area of heated rooms estimated for unit heat demand q=100 W/m². 3 Width of boiler given with draught controller. Draught controller is not equipment of the boiler. 4 Extra paid option installed on the customer’s request.